The cathedral is by far the largest building on the rock. It has a nave, chancel, two transepts, a tower at the crossing and a residential block on the west that looks like a foritifed tower house tacked on to the end of the church. There are projecting chapels on the north and south transpects, with the southernmost one butting into the back of Cormac's chapel. The cathdral also sports a round toiwer on north transept. It's apparently been hit by lightning a number of times. 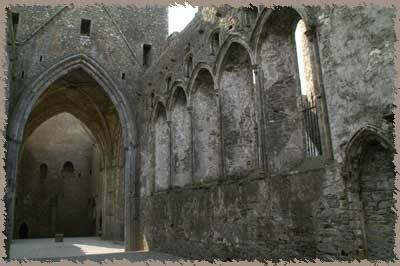 The cathedral has been sacked and damaged many times; the latest sacking by Lord Inchiquin in 1647. 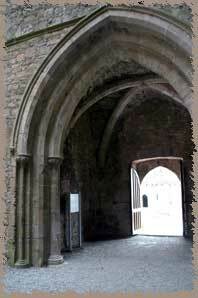 The form of the cathedral is of a large, cruciform gothic church, without aisles. 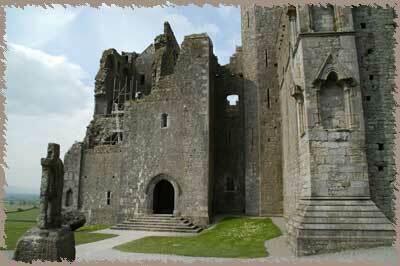 It was built between 1230 and 1270. It was squished in between existing buildings on the site: the round tower to the north and Cormac's chapel to the south. 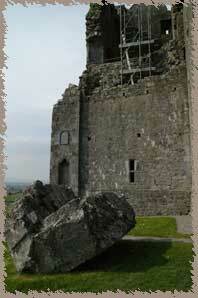 The tower was added in th 15th century. The high alter at the east end of the church, with a screen to separate the congregation from the offciiators. Much of the choir is carved sandstone, instead of the limestone of the rest of teh cathedral. The north and south transepts have large windows. The nave of the church to the west is very short, and may originally have been planned as much longer, but the housing block on the wned took up the space.